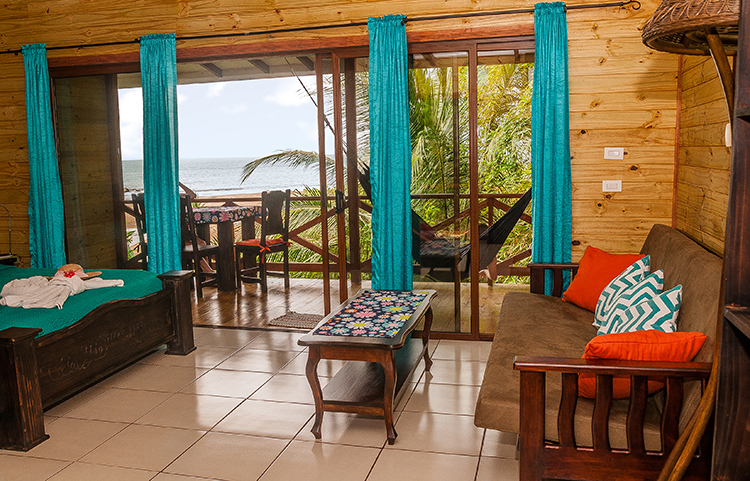 Deluxe Cabins at Drake Bay, Osa Peninsula. 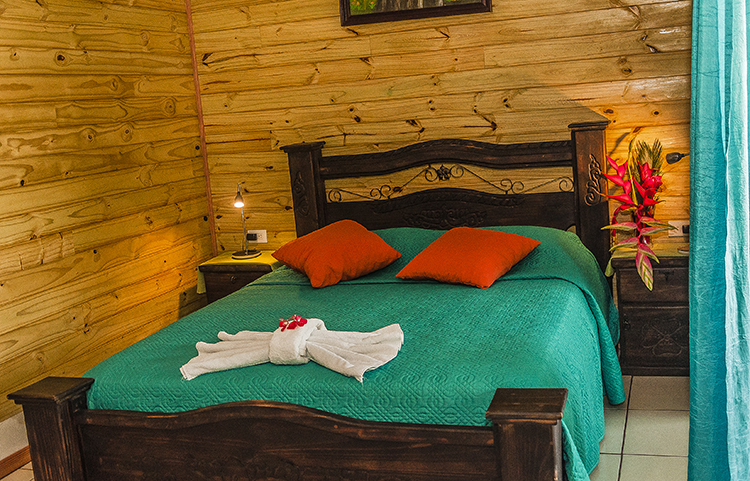 Comfortable deluxe cabins at Pirate Cove Hotel, Costa Rica. This room is meant for a couple, although we can probably squeeze in a single bed for a child or two in exceptional circumstances. 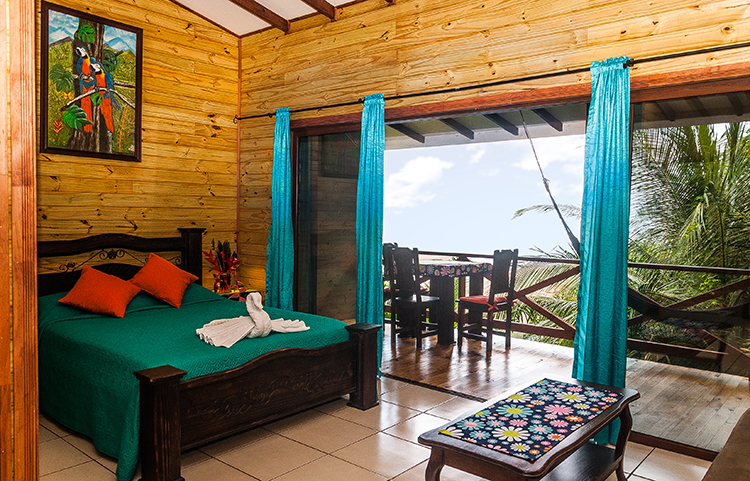 These deluxe cabins stand alone and are for people who really like their privacy. 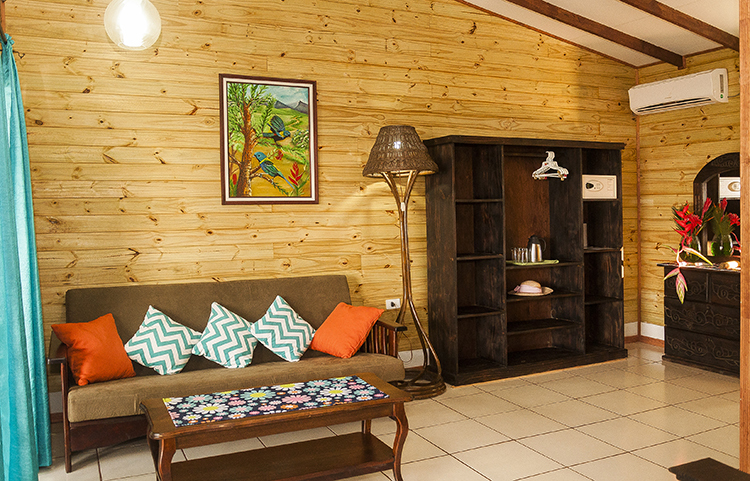 Each cabin has one queen sized bed and a sitting area. The sofa can be converted into a double bed for the kids. 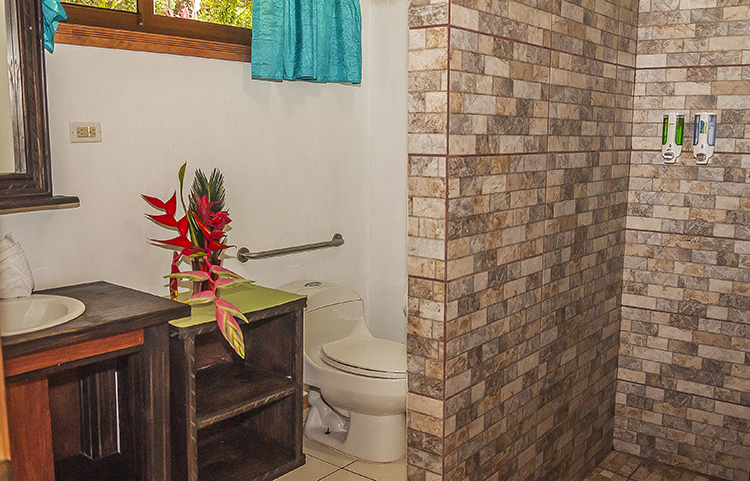 Bathrooms and terraces are the largest and most comfortable of all our rooms. The view from your private terrace is truly incredible and you won’t want to come inside, but if you do you will find your nice air-conditioning. 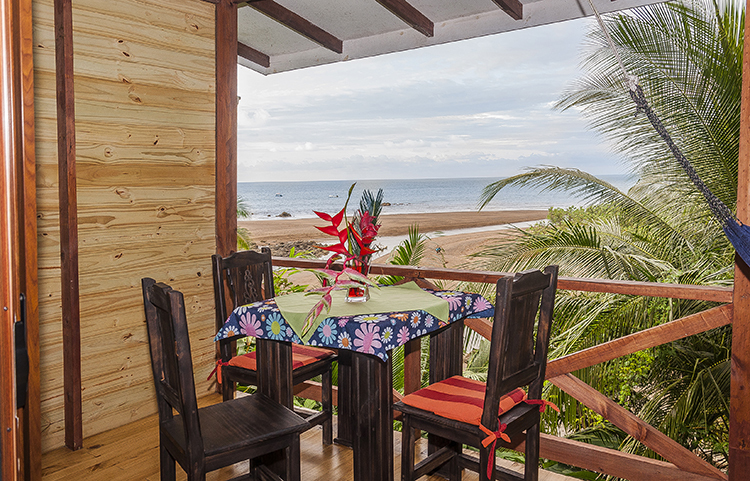 The deluxe cabins are the first of a new generation designed for those who want a higher level of luxury and comfort while enjoying the incredible natural beauty of this isolated part of Costa Rica. Pirate Cove is located in one of the most lovely parts of Drake Bay.